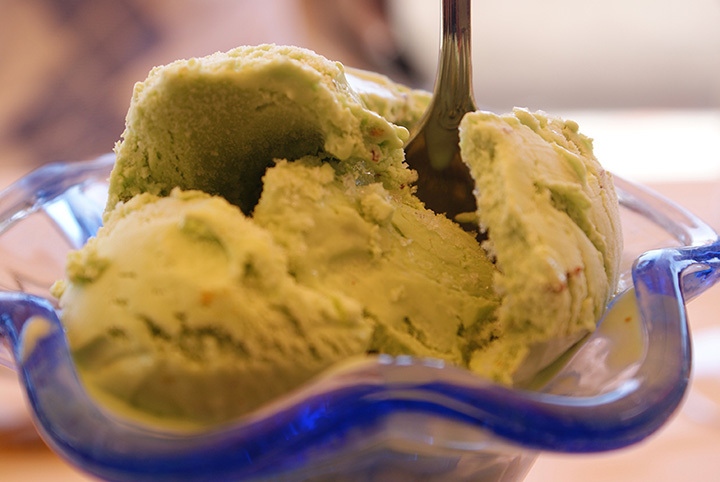 The 6 Best Places For Gelato in Missouri! With its creamy texture and sweet taste, gelato is a great dessert for those looking for a cool treat to beat the heat. Gelato shops serve these treats with flavors that include vanilla, chocolate, and salted caramel. If you are looking to try some during your travels through Missouri, here are some of the best spots around the state. Celebrating their Italian heritage, Piccione Pastry provides customers with made-from-scratch pastries and gelato every day. The shop is in the heart of the Delmar Loop in St. Louis and is a late-night stop for your sweet tooth. Get your fix of their traditional gelato flavors, like vanilla and gooey butter or try their affogato, which is a vanilla gelato and almond biscotti topped with expresso and garnished with chocolate shavings, chocolate sauce, and whipped cream. For more information about their location or other menu items, visit their website. Dedicated to providing the best gelato around, Dellario Gelato makes their delectable dessert fresh every day and changes up their flavors to keep their customers coming back for more. Some of their flavors have included peanut butter, dark chocolate, and bourbon. With their location close to the historical West Bottoms in Kansas City, their shop is in a great spot to swing by after a day of exploring the area. Check out their Facebook page for more information on their hours and new flavors added to the menu. Gelato Di Riso has served freshly made gelato to their St. Louis area customers since opening in 2006. They provide a menu list of their flavors on their website and the list includes mint chip, salted caramel, and root beer float. They also serve fruit flavors like green apple and raspberry, when in season. Get your gelato to go in a pint or even a quart to enjoy it at home later. Just make sure that if you are planning a trip to see them that you go between March and December since they are closed during January and February. Visit their website for more information about their location and hours. In the Tower Grove neighborhood since 2007, Gelateria del Leone has served their gelato by using local ingredients from the farm’s market just down the street. You can walk by the St. Louis Botanical Gardens or Tower Grove Park as you make your way to their shop. Enjoy their homemade gelato with flavors like London Fog (Earl Grey and vanilla) and sweet potato pecan. If you are not feeling that adventurous, they do have the more traditional flavors of vanilla, chocolate, and salted caramel. Check out their website for more information on their hours and how to get there on your next visit to St. Louis. Located in downtown Springfield, Maes Gelateria has served guests their handmade gelato since 2016. They offer their customers a fun and inviting atmosphere and have flavors like bubble gum and Italian lemon cookie for customers to try. They also offer sorbets and hot drinks for you enjoy during your visit. Visit their Facebook page for more information. With their roots deep in chocolate, the Stam family started their successful chocolate business back in 1913 overseas. They decided to branch out and bring their way of making desserts to America in the 1970s. The owners, Tony and Mary, serve their customers some of the same candies that were perfected over the years. Along with their amazing chocolate, they offer guests gelato in a variety of flavors. Check out their Facebook page for more information on their hours and how to find them downtown.